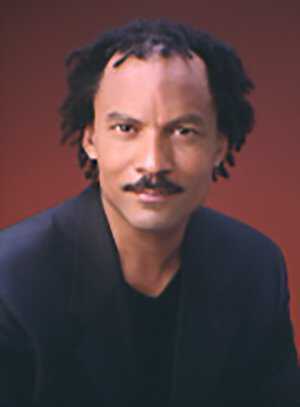 A veteran public television producer, Bagwell executive-produced the six-hour Africans in America series, and produced two other American Experience films: Malcolm X: Make It Plain and Roots of Resistance: The Story of the Underground Railroad. Why did you choose to focus on the last five years of Dr. King's life? In many ways Dr. King is frozen in time. We celebrate his birthday and we kind of freeze him on the steps of the Lincoln Memorial. And although that was a great moment for the civil rights movement, and a great moment for Dr. King -- when many in the country really first really had a chance to hear and to have a chance to know him — we felt that the years after that were when the voice that you heard was more his voice than the voice of a person who was representing a movement. When he steps out against the war in Vietnam, and when he begins to push towards a poor people's campaign, these are things that are coming very much from him. It's really his voice, his conscience speaking to him and forcing him to speak out. We felt it was important to focus on those years when he wasn't necessarily in the spotlight of the movement, and therefore, those years are not the years that we think of when we remember him, but we felt were probably his most important years. 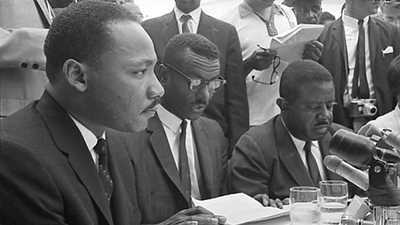 Why do you think King moved beyond the civil rights movement? One of the things I hope the film does is that it helps people to see how leadership ideas evolve within a person. That whatever we do, we are constantly growing and changing. Dr. King is doing exactly that. He is obviously deeply disturbed by the clear inequity that segregation represented in America and how that was a real scar that America had to address. And with all of his energy, he got actively involved in ending segregation in the South. But as he began to work with everyday people around this, other issues became as clear to him, and as real, in terms of what America was and what he thought needed to change within America. And I think that as he moved from one campaign to the other, as he began to have a larger interaction with the nation as a whole, and then to have an interaction with how people saw us from outside of the United States — getting the Nobel Prize, traveling to Europe, traveling to India, traveling to Africa -- and hearing about our country from other people's eyes, he began to see it differently as well. I think he began to see that there were larger issues that America needed to think about. And I think that's why his voice began to change at that time. How important was the Southern black church to Dr. King? Dr. King was a child of the Southern black church, a child of the congregation. There were few places within the black community where you were immune, in a certain sense, to the pressures of the dominant white society — where, in fact, you could become your own person. And if you came out of that environment, then you had a very strong sense of yourself, but at the same time you had a space where you were not dependent on the white community for your livelihood, for your stability, for your sense of self. You could then engage these difficult issues of segregation in the South and not feel the same kind of threat; you had the protection of that congregation also around you. It didn't mean that you weren't in danger, but you felt a little bit more bold, and I think there's a lot of strength that came from that environment. So yes, Dr. King and the church were extremely important, but at the same time he was, at the core, a man of God and a Christian. And these ethics and the tenets of that kind of belief were the things that were driving him. He used the words of the New Testament and the stories as a model for his teaching, and for ways to help convey to a lay audience how they had a basic right to the things that they were seeking. You've produced films about Malcolm X and Martin Luther King. How do the two men compare? Malcolm X and Dr. King are two very complicated and complex people. But the interesting thing about both of them is that they are uniquely American stories. These two people are people whose lives and stories would only come out of this nation — and in many ways they represent the best of us. Malcolm is much more the story of a self-made person because -- although he came from a very strong family — he found himself in a lot of difficult situations, often falling off the track, going to jail and prison, and then coming back and finding himself, finding Islam and Elijah Muhammad. And then emerging out of this world — crime and jail ‚ to be not only an important voice during that time, but also a model for a lot of people, creating a whole direction for the movement. 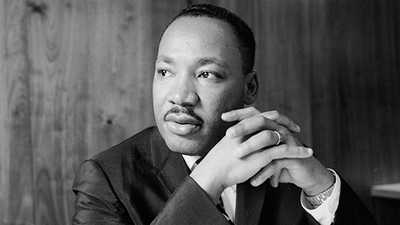 Dr. King, on the other hand, is another kind of rare story in the fact that he accomplished so much in so little time. And then both of these men die at the same age. And they accomplished so much in their lives. And for me, as a filmmaker, working with them, obviously you learn so much about them and yourself through the process, but more, you're confronted with what we've lost and what we could have had if they were able to stay with us. How would you describe Dr. King's central message? The interesting thing that he was able to do for all of us then -- and I think that he can still do for us now -- is that he wanted us to constantly be thinking about tomorrow. How do we envision what we are doing today and how that will affect generations after us and the future. And if we're not thinking about that, then we're not necessarily being responsible, because it's not just about us. It's about the health of our nation and the generations that will come after us. And he did that in Montgomery. And then you listen to him, when he's talking about the Vietnam War, and he's basically saying, injustice anywhere is a threat to justice anywhere. So he's constantly forcing us to realize that our individual acts or our collective acts all have repercussions or implications, and we have to consider those things and be responsible to that. That conscience is an important part of how we determine what we do every day. And the measure of our lives and the measure of the value of our lives is what we do every day. Not some days, not sometimes, but every day, all the time. What do you hope viewers will learn from your film? What I hope people will take from it is the story of his life -- that Dr. King really did try to be what we would consider the right kind of citizen in a democracy. He was a person who believed that in a democracy, if you saw something you felt was wrong, you had a right to speak up. It didn't mean that everyone would agree with you. And I think that's something we have to remember today, that the majority of Americans did not agree with the civil rights movement, and when he went North, even less agreed with what he was doing in the North and the idea of empowering poor people. But he believed that it was right to do these things, and therefore, in a democracy, he had a right to openly speak out about these things. And he felt that the best of a democracy was the right to protest, the right to speak out, the right to name injustice when you thought you saw it. Now you can debate whether or not you agree or not, but that's the part of what makes democracy work, that debate. And I think in many ways what I hope people take from the film is a lesson in citizenship, that this is what we have a responsibility to do as members of a democracy. That it's not just about voting on national election day, but it's about being actively involved in the affairs of the nation and being open and feeling confident that we can speak about those things openly, and that civil discussion is as essential to the health of the democracy as our vote is on election days.